Save the date for the 4th annual ChiTeen Lit Fest on April 26 and 27. Register online now! 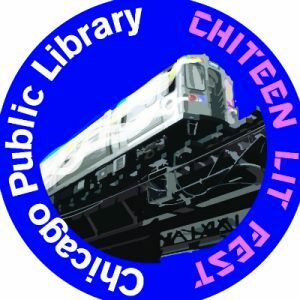 ChiTeen Lit Fest is a for-teens-by-teens gathering that aims to provide a safe and creative space for young adults to unlock and discover their unique voice through literary arts. ChiTeen Lit Fest seeks to bring together young people from across Chicago and celebrate their talents as they express themselves through exceptional and honest art. Plus, the teen team selected over 30 professional writers and artists to share their experiences. Friday Night Kick-Off Party (Harold Washington Library Center, 401 S. Plymouth Court, 6-9 pm): Dance, eat and make with performances by Akenya, Maria Lourdes and music by DJ Ca$h Era. Space is limited so register and arrive early. Saturday Teens-Only Festival (Columbia College,1104 S. Wabash Avenue, 10 am-6:30 pm): Tell your stories through music, art, and writing, take walking tours of public art, talk to published and established writers and artists, make stuff and get insider knowledge to improve your creative skills. Connect with these library branches for free transportation to the event. Lunch will be provided to teen attendees. Connect with us on Twitter, Instagram and Facebook to get the latest news. ChiTeen Lit Fest is brought to you by Chicago Public Library, UIC-College of Educationopens a new window, Center for College Access and Success at Northeastern Illinois Universityopens a new window, Columbia College Chicagoopens a new window, Poetry Foundationopens a new window, Steppenwolf Theater, The Revival, After School Mattersopens a new window, 826CHI, Young Chicago Authors, Chicago Public Schools Department of Libraries and ChiArts. This event is supported by the Chicago Public Library Foundation.